The U.S. Government views the sale, export, and re-transfer of defense articles and defense services as an integral part of safeguarding U.S. national security and furthering U.S. foreign policy objectives. 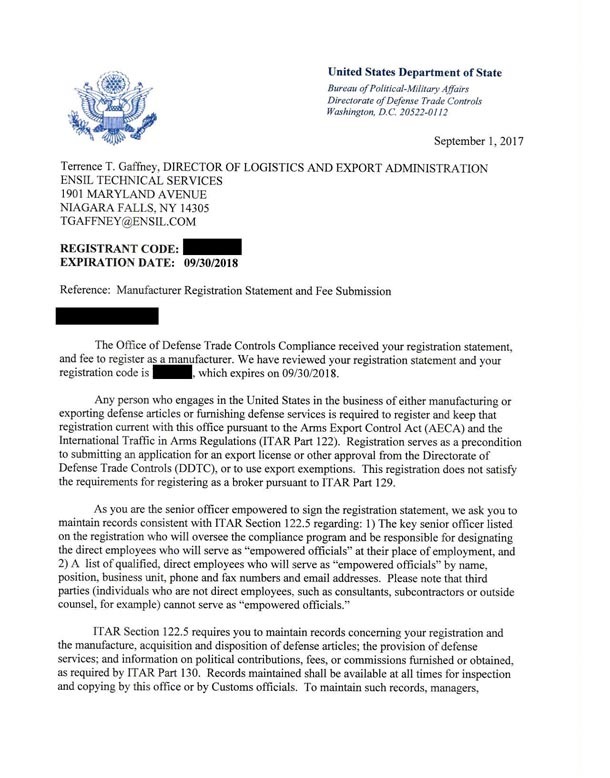 The Directorate of Defense Trade Controls, in accordance with 22 U.S.C. 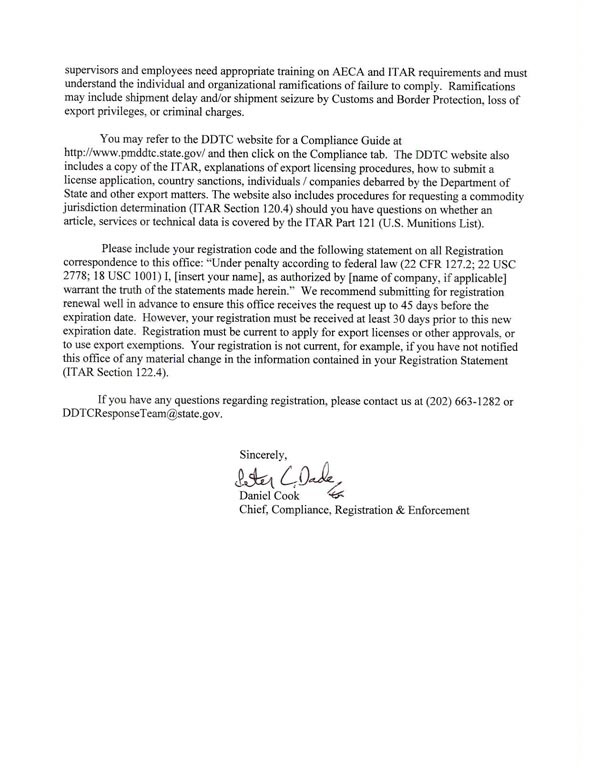 2778-2780 of the Arms Export Control Act (AECA) and the International Traffic in Arms Regulations (ITAR), is charged with controlling the export and temporary import of defense articles and defense services covered by the United States Munitions List. Ensil has a highly secured and protected facility fully compliant with the ITAR regulatory procedures.